The Dead Aim 48%+ Toteboard System! Taking ‘Dead Aim’ At Racetrack Profits! A Remarkably Easy Toteboard System to use that nails 48%+ winners and 70%+ place horses. Solid profits with no long runouts. 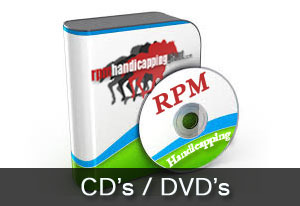 No Racing Form & No Handicapping Required! And it receives my Grade ‘A’ Seal of Approval, which doesn’t happen very often. Hi Guys/Gals: If you knew how much effort it takes for me to write a letter to promote a new product, you know why you don’t hear from me that often. It’s not that I’m lazy, it’s just that I seldom come across a product that I am willing to put my name on. So when you do hear from me, you know that I’m not wasting your time — you know that I, indeed, have found something worthwhile. And by ‘worthwhile’ I mean a method or system that makes money. In fact, I’d call this system DOUBLE WORTHWHILE! Let’s start with this: My view on this game is: If something makes a decent profit, whether it be a paper/pencil method, software or a wagering strategy, I want in on it. By ‘decent’ I’m talking a +22% ROI and up, and most that I use are on the ‘and up’ side. Let me tell you what I do, and it may seem a bit complex, but it works for me because I’ve always been good at record keeping. 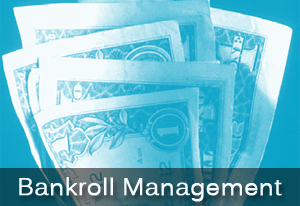 I have several different bankrolls — a separate bankroll for each profitable method. For example, I use my URTI Extreme and my RPG database software as a ‘combo’ (looking for common picks in situations I know turn profits), and use one bankroll for that. I have another bankroll for my PaceAce, and, get this: I make money playing the Raw Pace selections only, in fields of 9 or more, up to One Mile, when the morning line odds are at least 6/1. I also have a bankroll for Len & Dave’s TIPS program, as well as for their new Colonel’s Secret (a surprising simple formula that hits frequently). I also use Len & Dave’s PHQS and their Wizard of Odds Software (for longshots). And, of course, I use my WinMore Express with another bankroll, and my brother Steve’s Factor-X. And then, I have five separate bankrolls for my paper & pencil methods (I pay a college student, who loves horseracing, to do the figuring for me). I have bankrolls for My Personal Racebook Method, The 3 is Better Than One System (if you don’t have this method, get it — it is extremely, extremely consistant and has made a profit at every meet I’ve ever used it at — it is a spot play but wonderfully, consistently profitable. ), Speller’s Hidden Treasure Method, and, yes, The Astro Tote Board Selector (only for SuperFectas). The Dead Aim System, **a system, by the way, that requires ABSOLUTELY NO HANDICAPPING. So, when longtime customer Jerry Evans told me he had been testing a method of play for the past 6 months, compiling over 8,100 races, and the results were strongly positive (48% winners & a +41% ROI), I naturally wanted to take a look at it. Again, I’m interested in anything that makes a decent profit, and as I mentioned above, the more profit-makers in my horseplaying arsenal, the better. it picks a high percentage of winners, an extremely high percentage of place horses, makes a nice, nice profit and, hold on to your hat, it requires no handicapping whatsoever. So here’s my pitch: A ToteBoard System — for horseplayers — it’s been the pari-mutuel equivalent of the Holy Grail. Imagine walking into any track in the world and, without doing an iota of handicapping, picking winners simply by reading the toteboard. Well, with my system, most of the time it’s just that easy. My experiences during a recent few days playing the California fair meets, Los Alamitos, Penn National and Evangeline Downs and The Meadowlands harness illustrates this point. The toteboard was virtually an ‘open book’ on these days. On Thursday I played five races, and won all five. Played five on Friday, won four. Played seven on Saturday and won five (should have been 6 as one horse had a very rough trip and lost by just a nose). And the amazing thing is I didn’t do a bit of handicapping to select these winners. Thanks to the marvels of modern satellite technology, I was able to play all of these races from my easy chair at home, wagering through my TVG account. I knew all the morning lines, of course, since all computer betting sites provide you with an onscreen program. 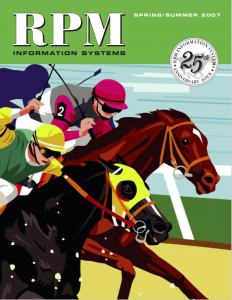 When I go to the actual track, all I purchase is a program — I don’t need a Racing Form or any other handicapping aids. Here’s what it comes down to: The beauty of the pari-mutuel system is that ‘money talks — sometimes it virtually ‘SCREAMS’ — and the message is right there on the tote. One hundred no-nothing punters can make uninformed $5 bets, and it translates into $500 spread across 8 horses. But when a five-person stable sends in $2,000 on its ‘sure thing’, the experienced tote watcher can spot it in the blink of an eye. If you’ve been reading carefully, you’ve already figured out that much of this method will involve watching for instances where horses are bet down. Just remember that profit is not only a function of price, but also of win percentage. A $7 mutuel might not sound too inviting, but if your win percentage is 50% it’s a gift. READ: That’s exactly what our goal is — to fashion a tote-watching method that gets close to, and often gets more than, 50% winners. And with my system, this is not an unrealistic goal. So if I dip to 34% wins the next night, my average for the two nights is still over 50%. And that is what you will see, and get, with the Dead Aim system. You will have days when you will win almost everything, and days when you will hit at 30% or less, but in the long run, using this system exactly as written, and it’s very simple, by the way, your close-to-50% winners goal will indeed be realized. Well, the sad thing is that there is no key to the mint. Don’t get me wrong — this method does work most of the time at most tracks, but we are talking rather short prices here overall, so to make a ‘mint’ you would have to wager pretty darned heavily. And where this method works best, at the smaller tracks like Golden Gate, Los Alamitos, Evangeline Downs, Mountaineer, Delaware, Penn, Parx, Turfway, Tampa Bay, Suffolk, Finger Lakes, etc., where the bettors are not that sophisticated, a large bet will seriously hurt your price. I wagered $100 on a horse at Evangeline several years back, with 10 minutes to post. My horse went from 6-to-1 down to 9-to-5. Of course you could pour big money into tracks like Santa Anita, Belmont, Gulfstream, etc., and still hit a high percentage of wins. The problem at the bigger tracks is that there is too much ‘smart’ money at those tracks, so a lot of big bettors will be on your horse as well, again reducing the win mutuel. But I will show you a way to own an edge even on the big circuits. Yes, the toteboard method(s) described in this method do work…much of the time. So here’s the deal: I supply you with the basic methodology, you supply a modicum of self discipline and observation. If it isn’t working at your track, you are doing something wrong, so you study the method a little more, make the adjustments I recommend and try again. I’m going to show you exactly how to do it. If I showed you how to bake the perfect cake, you may not get it right the first or second time, but with more experience, not a whole lot more, you will get it right. And, the great thing, is that you don’t have to risk one red cent of betting capital until you are sure you have the method down pat. When you see 40% – to 60% winners coming in over a week’s or so play, you will know that you have got it. I run a moderate size daily newspaper in inland Southern California. I also help edit one of the nation’s most popular magazines for coin collectors, a lifetime passion of mine. I am also a semi-professional horseplayer which means I have to explain myself to the Internal Revenue Service most years and manage to lavish enough C-notes on my horse-hating wife to never have to explain why I’m at the track. I’m offering this method because I’m a writer, and because I have something valuable to share with you. A few years ago, I may not have considered it, because if the reader was confined to just one track, a track where the method may not be overly effective, I wouldn’t want you to waste your money. 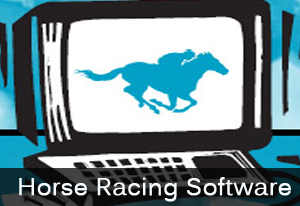 But now that most of you can avail yourselves to a choice of a dozen or more different tracks, I have no doubt that this methodology will enhance your wagering experience. ***My job is to present to you the exact, proven, winning tote-watching strategy that I have been using for years. ***Your job is to read the methodology carefully so that the principles of tote-watching become second nature to you. Having looked at close to 600 races myself, I can tell you that this method not only works as advertised, but is amazingly simple to implement. I am totally impressed, since I have not seen such a simple concept that yields such positive results in all my years at this game. Give this method a try – you have my personal assurance that it works! Tom. “Now remember, we are going to be dealing with bet-downs, horses that are bet below their morning line odds. Of course there are other requirements, as explained in the methodology. Now, many people at the track will see the betting action, but most will just shrug it off. They are not trained in the art of recognizing a ‘TRUE’ bet-down. You, on the otherhand, will be. When you see a horse that fits the Dead Aim pattern, and you will see many, you will wager with confidence. **I will also provide you with a very simple money-management strategy that will allow you to prosper even with runouts, though the runouts are almost always very brief. Exotic wagers? With this method, you are on your own. So, dear reader, here is my advice: Be a contrarian. Be conservative. Let others have the fun of piling up losing exotic tickets. Approach the game as an old-fashioned banker would. It’s a bit dull, but at least you get to count money at the end of the day. This tote-watching method will work at some tracks all the time, and some of the time at other tracks (mostly the biggies) and, not very well at a handful of tracks (Remington, Fresno, Woodbine, Stockton & Fairmount). These will help fill in the gaps and provide you with more action. **And, believe it or not, I will also include my ‘pet’ longshot methodology. I call it the Evans Super Longshot Method. Yes, I do play longshots as well, but only with this system and, get this, it has very little to do with handicapping — it gets a very low percentage of wins, but a very handsome ROI. So, it comes down to this: Here is a horse playing method that allows you to walk onto any track in the world — be it France or Britain or Hong Kong or Chile — with a very decent chance of coming away with a profit. Most people lose; but there’s a handful of people who carry away a profit on a regular basis. Most of these long-term winning horseplayers are either stable-connected or brilliant handicappers. This method is simply an attempt to hitchhike on their hard work. And the price: a very modest $65. 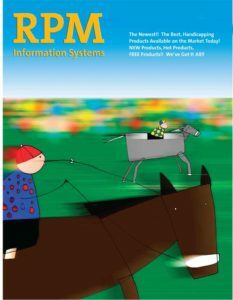 While the method, again, may not be the key to the mint, it is the key for the thoughtful user to earn a supplemental income from the track. And listen, if you don’t like it, or feel it isn’t your style, just send it back. All of your money will be refunded. No questions asked.